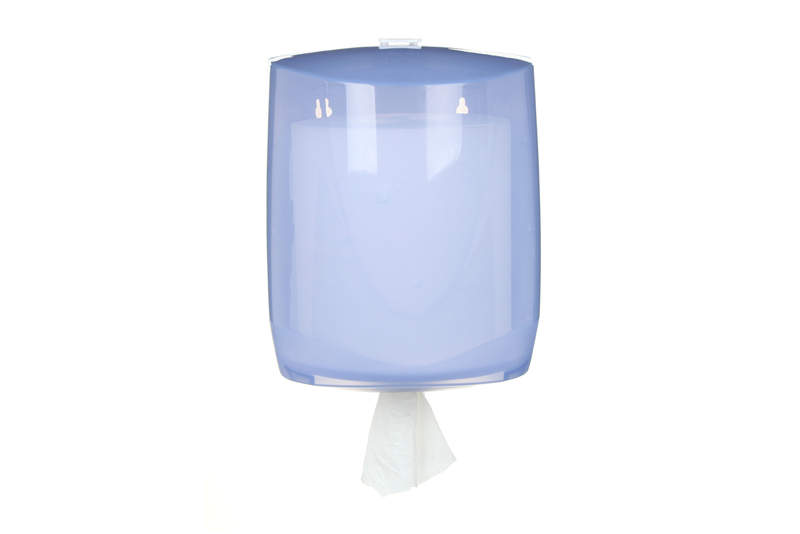 Easyroll Ellipse is a center pull paper towel dispenser for restroom, kitchen and hospitality environments. 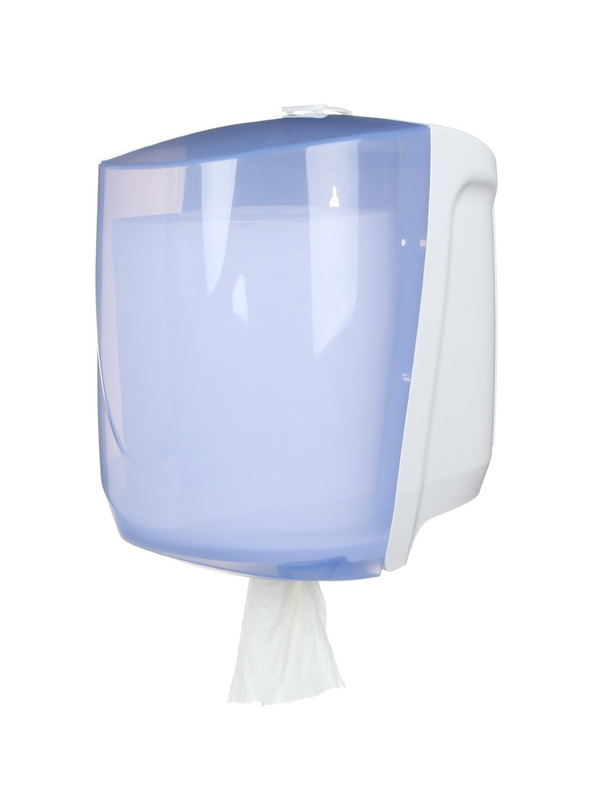 The unit accommodates any center pull paper roll 8 inches in diameter and 9 inches wide. Easyroll Ellipse comes with a patented adjustable tension ring, to create the right tension for paper types of different thicknesses to be dispensed in a controlled way. The Easyroll Ellipse comes with a translucent blue cover that enables easy inspection of paper level and is water and dust resistant to keep the towel dry and clean. Due to high customers’ demand, we now have a new cover version in translucent white. The unit can be secured with the standard Kennedy key or can easily be converted for keyless opening using the opening knob that is included with the product. We also have two product versions that can accommodate perforated and non-perforated paper.